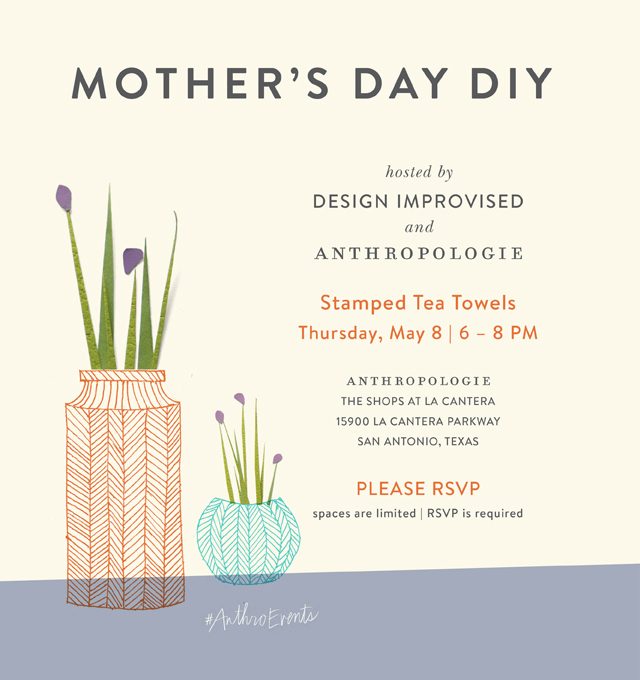 Anthropologie Mother’s Day Event with Design Improvised! Guys, this is so exciting!! 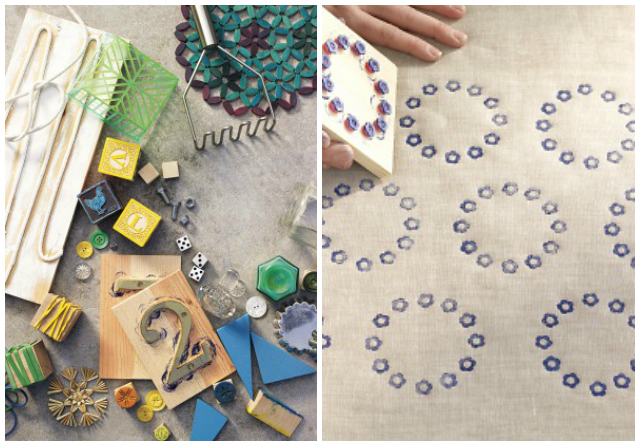 I’m co-hosting an Anthropologie DIY Event on May 8th, and I would love if you could come! I have a really fun craft planned for you. We are going to be stamping tea towels will all sorts of found objects – from wood blocks, to tea cups, to candlesticks. It is amazing what you can turn into a stamp and the results are so graphic and fun! I’ve been thrifting around for some cool objects for us to use, but if you come across something at home you’d like to use for a stamp feel free to bring that as well! My one year anniversary in San Antonio is coming up, and it would be so great to meet some of my new readers in the area firsthand. I hope to see you on May 8th from 6-8pm for this free event. Reserve your spot here – hurry space is limited!